Which Side Of The Wire? 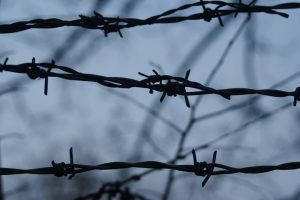 I have begun a photography project of the symbolic relationship between barbed wire and nature. Having become more abstract with my nature-based photographs I have found this current project also to be the case, which is very fulfilling. I will visit other locations, rural and urban, where barbed wire abounds amid natural surroundings and continue taking a further series of images with this concept very much to the fore. At a future date I would like to stage an exhibition comprising entirely of photographs of this subject matter. Various sized prints of the photographs recently placed on my photography-based website www.abstractway.co.uk WILL BE FOR SALE. They can be accessed by clicking on February 2017 under the heading ‘Recent Posts’. 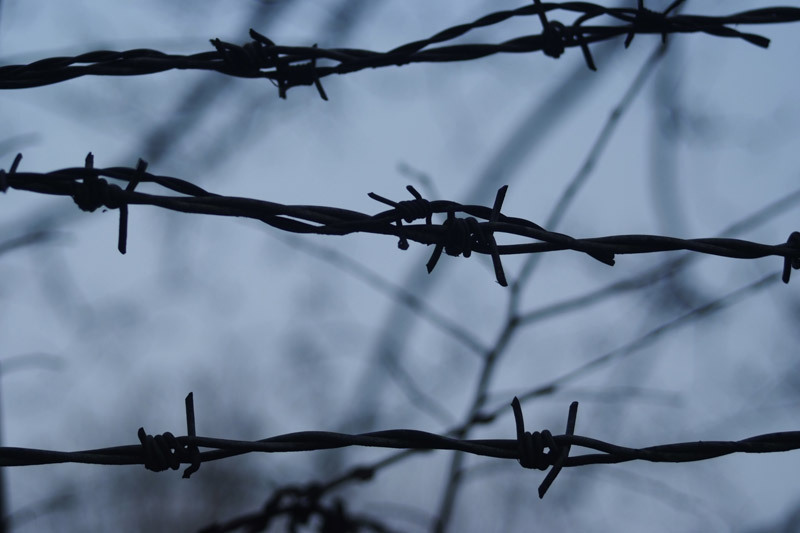 Barbed wire has many symbolic meanings but my aim is to symbolise barbed wire and nature. It is made and erected by people, people whose destructive acts have blighted the planet. First manufactured in the 1860s, it has changed very little in design and function. Barbed wire has taken on metaphorical and imaginative uses. Its practical uses spans the agricultural, practical, military and economic realms of modern society. I argue strongly that this is not the case.